New Concept comes from the Origin. Origin is the most distinctive value. As Starbucks was introduced to Korea, CJ planned to launch a coffee shop with a new concept. Starbucks was changing the coffee shop culture of Korea with the concept of the third space and by emphasizing the fundamental origin of coffee. How can CJ establish a distinctive coffee shop? What would be the true origin of Coffee shop? That was the first question we had. In Italy, the home of Espresso, Coffee shop was not a place merely selling coffee but a place like a reception hall where people gather, eat, drink coffee together and chat as well. The new coffee shop of CJ had to be a place with ‘people, meal and coffee’. Firstly, in regard to the ‘meal’, CJ decided to connect with the CJ bread business and to develop menus for cakes and sandwiches. For ‘people’, couples that enjoy chatting the most rather than the wide public were considered the most suitable target. 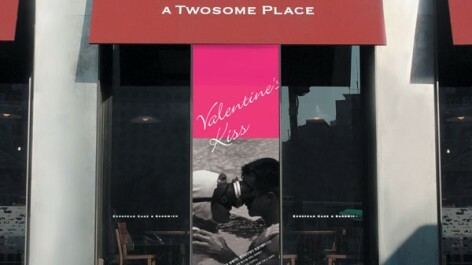 The interior of the place was done to generate the feeling of comfortable and calm Heritage by using Black stainless steel panels and Black/White latticed tiles from the 1950s., In order to well express the meaning of a place where couples can stay comfortably having meals, drinking coffee and chatting for a long time, it was named ‘A Twosome Place’, a BI that matches the style of the place was designed and the first shop was opened in front of Ewha Womans University where there are many couples. 새로운 Concept은 Origin으로부터 나온다. Origin은 가장 차별화된 가치이다. 국내에 스타벅스가 들어오면서 CJ는 새로운 개념의 Coffee shop을 런칭하려는 계획을 가지게 되었다. 스타벅스는 제3의 공간이라는 새로운 개념과 Coffee 본연의 Origin을 중시함으로써 한국의 Coffee shop 문화를 바꾸고 있었다. CJ만의 차별화된 Coffee shop을 어떻게 구축할 수 있을까? Coffee shop의 진짜 Origin은 무엇일까? 우리가 가진 첫 의문이었다. Espresso의 본고장 이탈리아에서 Coffee shop은 원래 단순히 커피를 파는 곳이 아니라 사람들이 모여 식사와 커피를 함께 하며 담소를 나누던 사랑방과 같은 곳이었다. CJ의 새로운 Coffee shop은 ‘사람, 식사, 커피’가 함께 있는 공간이어야 했다. 우선 ‘식사’는 CJ가 보유하고 있던 빵사업과 연계하기로 하고, 케이크나 샌드위치 메뉴를 새로 개발하였다. ‘사람’은 폭넓은 대중보다는 담소가 가장 즐거운 연인이 Target으로 가장 적합했다. 공간은 편안하고 깊이 있는 Heritage를 가진 느낌이 들도록 Black sus판과 50년대 스타일의 Black & White 격자 타일로 인테리어를 했다. 연인 커플이 편안하게 식사도하고 커피도 마시면서 오랫동안 대화하며 머물 수 있는 공간. Naming은 이러한 의미를 잘 표현할 수 있는 A Twosome Place가 되었고, 공간 스타일과 매치한 BI가 디자인되었으며, 연인들이 많은 이대 앞에 1호점을 내게 되었다.